Unbeaten girls’ football team too good for the boys….without a goalie! 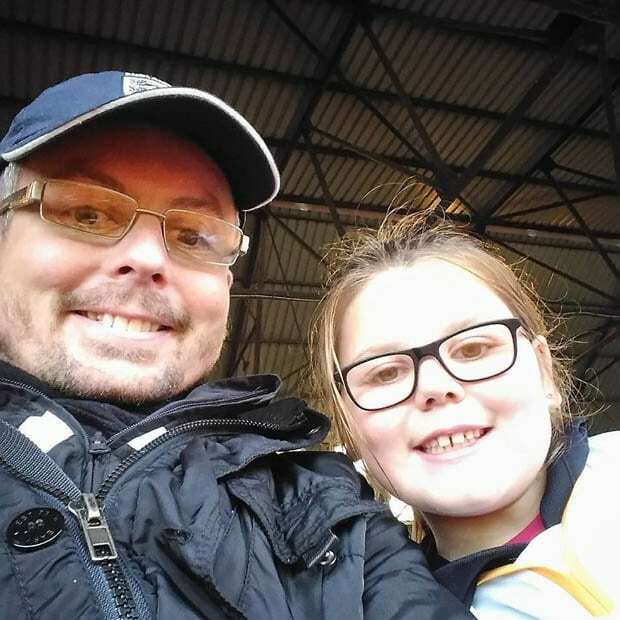 A football coach whose girls’ team hasn’t lost a match for three seasons on the trot is calling for more girls to take up the sport – because the boys’ teams are too afraid to play them. Stuart Henley’s nine and ten-year-old players have scored 110 goals in seven matches and have conceded just four – setting a new season record. But Stuart and his under-10s team are “gutted” that boys’ teams sometimes refuse to play against them “just because we’re a group of girls”. 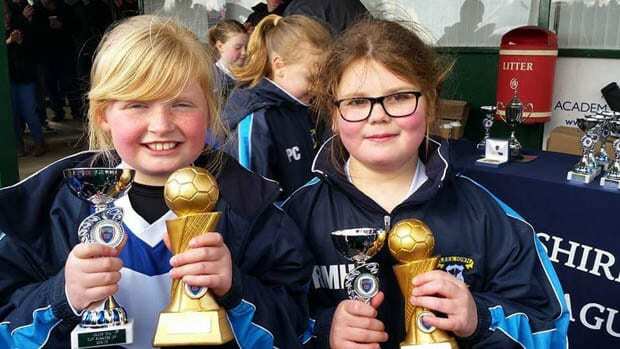 Leek Town Strikers train hard for their weekly fixtures and now the girls, who have been playing together for three seasons, are so good at scoring goals they don’t even have a goalkeeper. The dad-of-three said: “The team has been going for three years and we started up as under eights. “In our first season we scored more than 100 goals and conceded no goals. “We skipped under nines and went straight to under tens. “In our second season we scored more than 100 again and conceded only two goals. 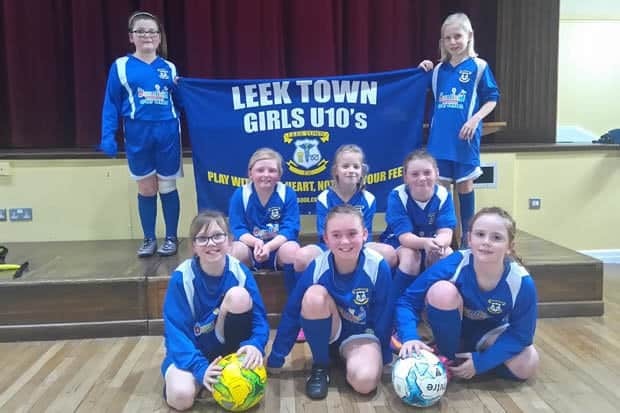 Leek Town Strikers, based in Leek, Staffordshire, have been let down several times by sexist boys’ teams who refuse to play training matches against the girls. Stuart, 36, said: “Not many boys teams want to play with us and sometimes cancel last minute when they find out who we are. “I’m gutted when that happens and the girls don’t like it either. “It’s not about me, it’s about our team toughening up. Stuart, whose nine-year-old daughter Rebecca plays for the Strikers, added: “Girls have a different style from boys – they have more passion in the game because it’s harder for them. Stuart and fellow coach Landen Burton are putting on futsal sessions and football dancing classes for girls, to get involved with the beautiful game. Their call for more sign-ups comes just a week after Kelly Smith, who scored 46 goals for the England Women’s football team across her 20-year career, announced her retirement from football. Stuart said Smith and her team have inspired more girls to get involved with the sport – but that they should get more screen time. He said: “As you saw with the World Cup, the women’s team got a lot further than the men but they hardly had any coverage at all. The Strikers are hoping to win their league for the third season in a row and have also sailed through the first round of a shield competition – thrashing their opponents with 14 goals to nil.